The idea for this post came about while driving through a trail town in Connecticut with an extended family member that we stayed with (Thanks Aunt Mary!!) We passed a group of fellow hikers gathered outside of a gear store/resupply store and said something along the lines of “Hey! Hikers! We know those people!” Our family member responded with a look of incredulity and exclaimed she never would have known what they were doing or that they were hikers at all. 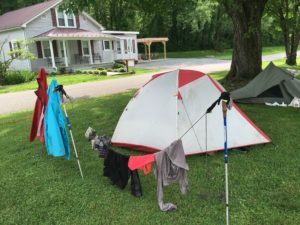 Another inspiring instance was when someone mentioned that they thought they might’ve seen other hikers in town, but they couldn’t be sure if they were thru hikers or if they were actually homeless people. 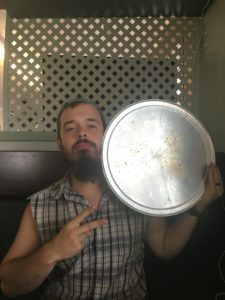 So, I decided to give the good folks of the Internet (or at least our family members and friends who still read our blog) a guide on how to tell the subtle differences between your average vagabond and the majestic, forest trotting, mountain crushing, garbage disposal that is an AT hiker. And you can be sure that the guidance you’re getting is sound, because it’s coming from 4 months into the trail Hiker Trash herself! You’ll also hopefully be able to glean some insight into how absurd our very existence has become. If you can apply 5/10 of these rules to the subject(s) in question, then congratulations, you’ve got yourself some grade A Hiker Trash! Otherwise known as the “Hiker Limp”. This is something that ALL hikers have, regardless of hiking ability, gender and time spent on trail. 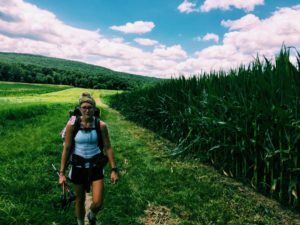 I have personally never seen another hiker that doesn’t have some sort of limp when walking around camp or town after a day of hiking. 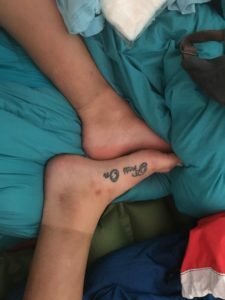 It’s a very distinct limp, that can only come from having sore feet, legs, and knees from hiking long miles for months on end. You’ll know it when you see it. A healthy looking 20 year old doesn’t usually walk like a arthritic 95 year old. If you’re a hiker, you live “the limp”. This one is pretty self explanatory, and could also apply to your everyday vagabond. 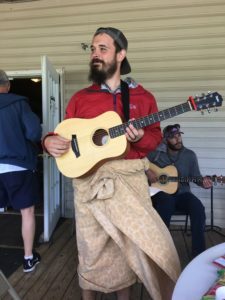 The only difference is that for a hiker, you’ll notice that the dirt stops at the ankles, the sleeves on shirts are ripped or cut-off, and there are probably leaves/debris in the hair or beard. This also encompasses a distinct odor, generated by hiking in 90 degree weather and humidity without showering for 7+ days. 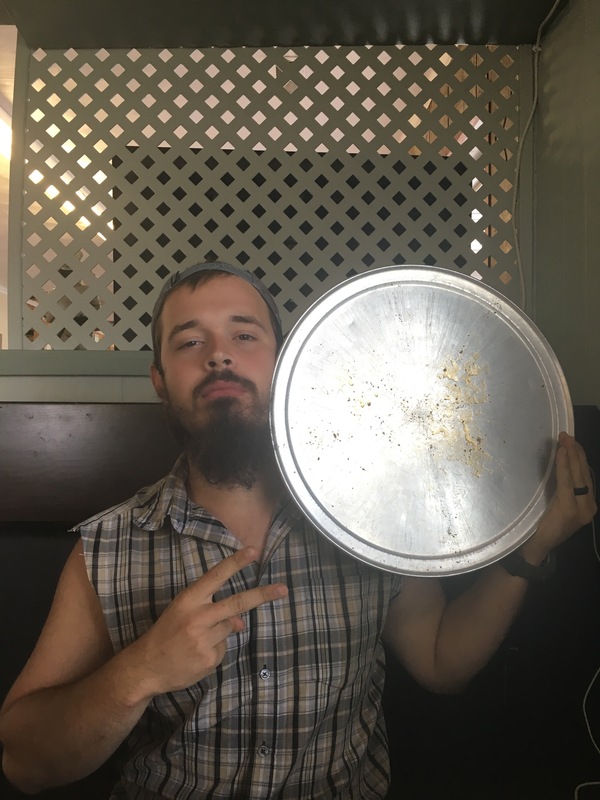 NO ONE eats like a thru hiker. Our stomachs have literally become like bottomless black holes that can consume unimaginable amounts of food. We can eat portion sizes that would put Man Vs. Food to shame without breaking a sweat. The more calories, the better. Hikers will also eat any combination of food you could conceive. Read that as “will combine anything and everything with Ramen, no limits”. And if we can fit it inside a tortilla? Even better. Also, the normal time constraints on food, such as breakfast, lunch and dinner don’t apply here. If you see a person devouring a cheeseburger or large pizza at 9:00 in the morning, they’re probably a hiker. Also, hikers tend to stay in public places for unusually LONG periods of time. We once sat in a gas station Subway for 3 1/2 hours. It’s not often we get the modern comforts of plush booths, unlimited soda refills and power. 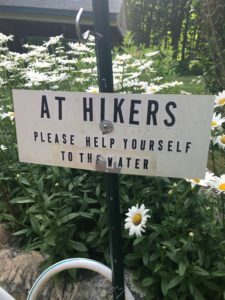 A hiker will NEVER take running water for granted. (Especially this year, when a lot of the AT’s streams are dried up and water is so scarce.) Running water = no filtering, a much easier teeth brushing and dish washing experience AND maybe even a “sink bath”! Not to mention the free toilet paper. If you see someone relishing a gross public bathroom like its a trip to Buckingham Palace, they’re probably hiker trash. This one is quite simple. If you see someone that fits some of the afore mentioned criteria walking around town and they are also displaying a glazed over, confused look in their eyes, this is another good sign you’re in the presence of greatness. Hikers are used to only a few, simple things. Trees. Dirt. Forest creatures. Sky. Shelters. Other hikers. That’s about it. Put them in a place with bright lights, lots of clean people, loud noises, vehicles, and options, and you’re bound to induce a little shell shock. It took me 30 minutes to come to my senses and stop walking around with my mouth gaping open with my head swiveling back and forth when we went to Times Square. If you see hiker trash in a state of distress, don’t be afraid to give a friendly smile and directions to the nearest pizza restaurant, it’ll be much appreciated. Is the subject in question, particularly of the male variety, wearing short-shorts? And I mean SHORT shorts. Hiker trash. Are they wearing very bright, multi-colored, non-matching clothing? Hiker trash. Does the clothing look like its basically disintegrating off of the individual right before your eyes? Hiker trash. Is the male in question wearing a dress and funny hat? Hiker trash. Are they wearing Crocs? Definitely hiker trash. Bonus points if females have extremely hairy legs and armpits. I’m not sure if everyone is aware of this, but there are no laundry machines or dryers in the woods. *Gasps* Because of this, hikers are forced to come up with creative ways of getting their clothes clean if no laundromats are accessible. Hikers can go unusually long periods of time wearing the same outfit without washing it, but at some point, it’s got to be done. These “creative” ways include, but are not limited to: a public pool, a hotel tub, a public restroom sink or a garden hose and some soap. 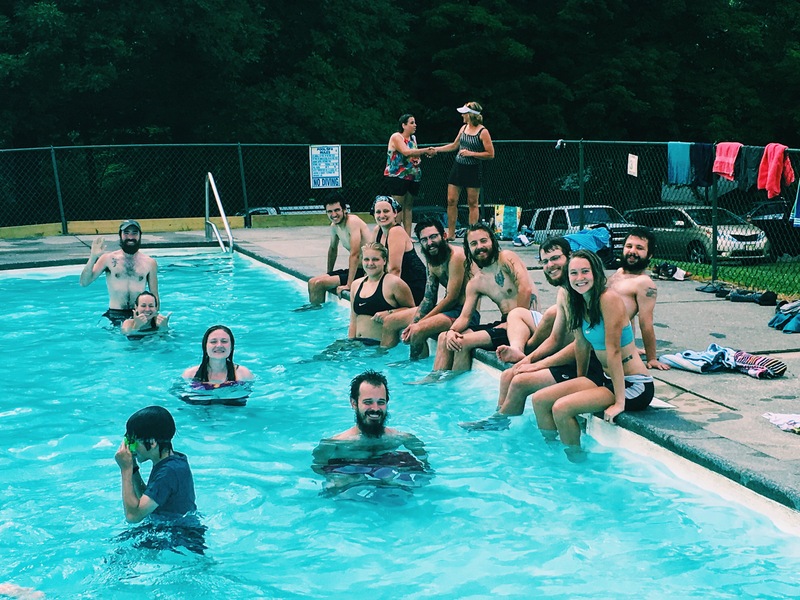 So if you see someone sneakily wearing all of their clothes into a chlorinated public pool, or vigorously scrubbing in the restroom sink with hand soap… You might be witnessing hiker trash ingenuity. Hikers have a language all their own. This strange language is full of acronyms and funny words that sound like complete gibberish to the common person. For example, a hiker might say something like this: “Indian Sunburn, Paddlefoot and 2 other SOBO’s yellow blazed to some trail magic after their nero into town today.” English translation: “John Smith, Gregory Johnson and 2 other southbound thru hikers rode in a vehicle to someone giving out free food and drinks after doing a few miles into a trail town today.” We LOVE our acronyms! We also love calling people by their strange nicknames and often have no idea what anyone’s real name is. If the subject in question introduces himself as Mountain Goat, he’s probably Hiker Trash. If nothing else, a thru hiker will experience an incredible lowering of their expectations for what constitutes a good place to sleep. 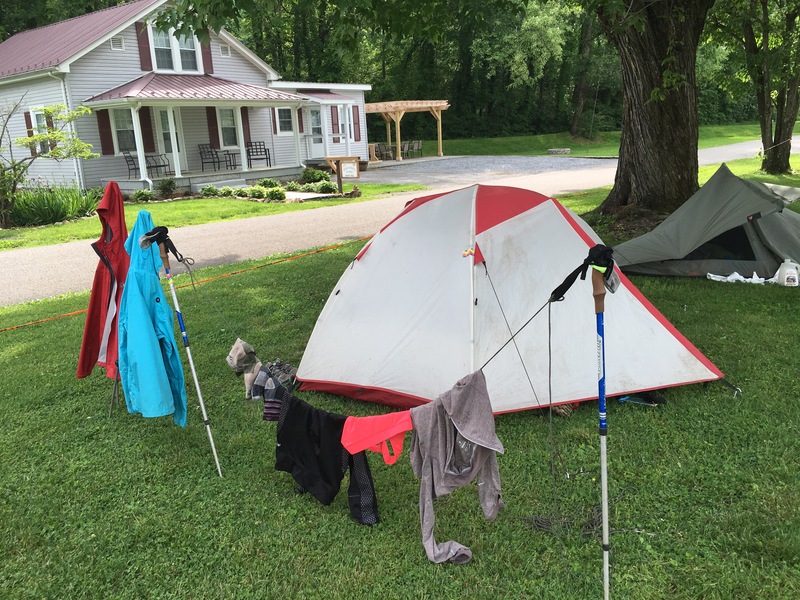 Hiker Trash love Budget Motels almost as much as they love burritos. They will literally throw their tent/hammock/sleeping pad on any mostly flat surface. Some random person’s backyard? Yep. A city park? Yep. A woodshed? Oh yeah. An empty farmers market to get the free wifi from the building next door? Anything to catch up on Game of Thrones (Cinderella, Grandma- that one is for you!). So if you see someone sleeping in a public place on what looks like a pool float, they’re probably Hiker Trash. One more indicator you’ve encountered this rare and elusive breed: A large SmartWater bottle. 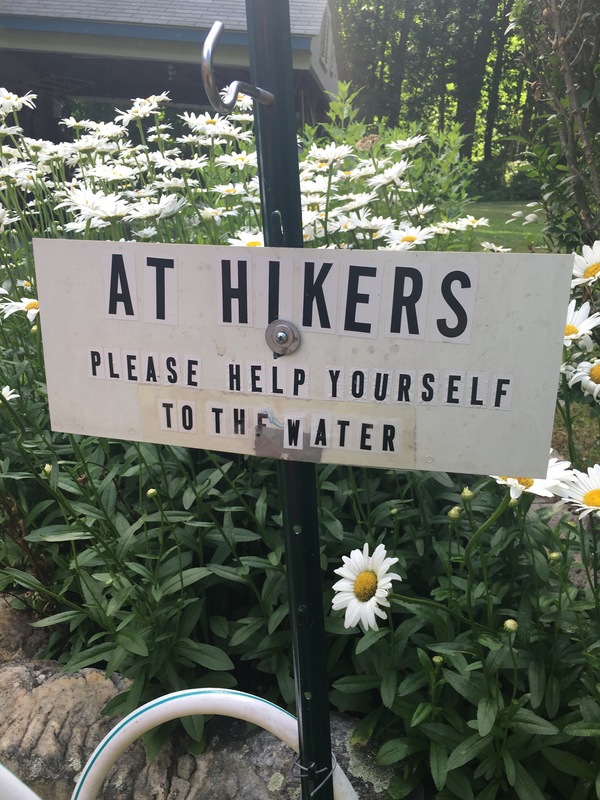 The hiking world keeps SmartWater in business. I hope this article helps anyone struggling to identify a hiker or anyone who’s struggling to understand the strange and bizarre behavior of Hiker Trash! You invest $400 in a GPS with SOS assistance, in hopes you sleep better at night… in hopes the SOS service is never needed. You sleep with your cell phone next to you in bed, because you are on call 24/7… just in case. You never want to miss a call from your hiker, cell service is so sketchy! You are running around at 10:00 at night trying to put a package together; that needed to be there 2 days ago. You pay $100 in shipping for a package to get there the next day. You are given a list of “food” items for a package and end up buying 50 more items than what’s on the list….worried your hiker is starving! 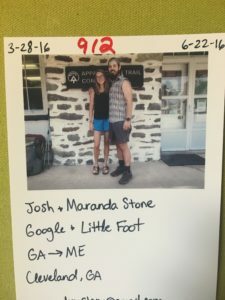 You set Facebook and Instagram up so that you are notified when your hiker post anything… because you do NOT want to miss a photo opportunity or video moment. It’s your only connection until you get that next text or call from your hiker. You keep your vehicle full of gas…..because you want to be prepared just in case you are called and needed immediately (no time to stop for gas). Your Christmas purchases include “hiker items” like an expensive sleeping bag, weather radio, batteries for the GPS and bear spray. You can’t go anywhere without someone stopping you and asking… “hey, where is your daughter at on the trail”? and “wow, you must really be worried about her”? And let’s not forget… “so, when will they be done”? My least favorite comment from other moms…. “you must be really worried, I don’t know how you sleep at night”! You pray daily that whoever picks up your hiker to give them a ride is a “good person”. Followed by checking the GPS to ensure your hiker is on the trail. The Weather Channel App becomes your new best friend… hoping that most of the time they are wrong when severe storms are predicted. You know what trail lingo means, such as……“NOBO”, “Thru-Hiker”, “Trail Angel”, “Trail Magic”, “Trail Name”, “Yellow-Blazing” & “Zero Day” means. 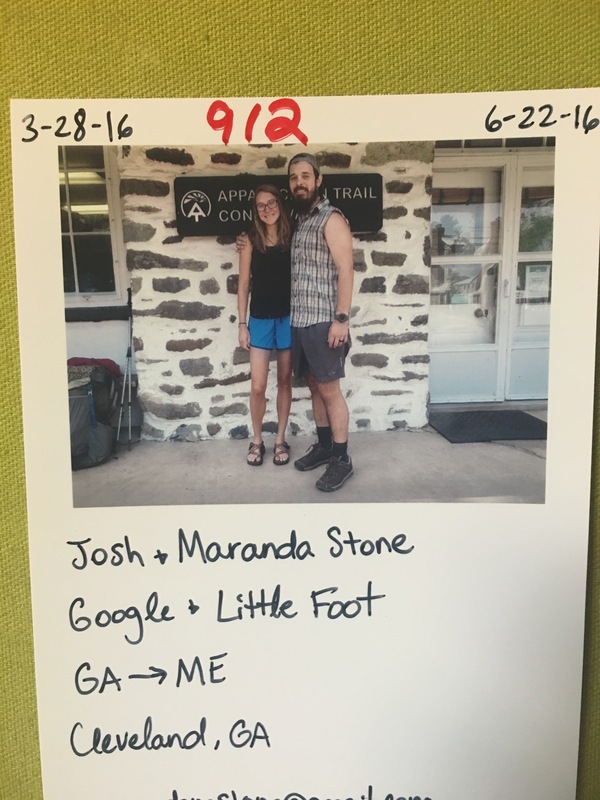 The term “hiker trash” is not offensive to you, because you are proud of your daughter (or son) for taking on such an amazing journey…all 2,189 miles! •	You invest $400 in a GPS with SOS assistance, in hopes you sleep better at night… in hopes the SOS service is never needed. •	You sleep with your cell phone next to you in bed, because you are on call 24/7… just in case. You never want to miss a call from your hiker, cell service is so sketchy! •	You are running around at 10:00 at night trying to put a package together; that needed to be there 2 days ago. •	You pay $100 in shipping for a package to get there the next day. 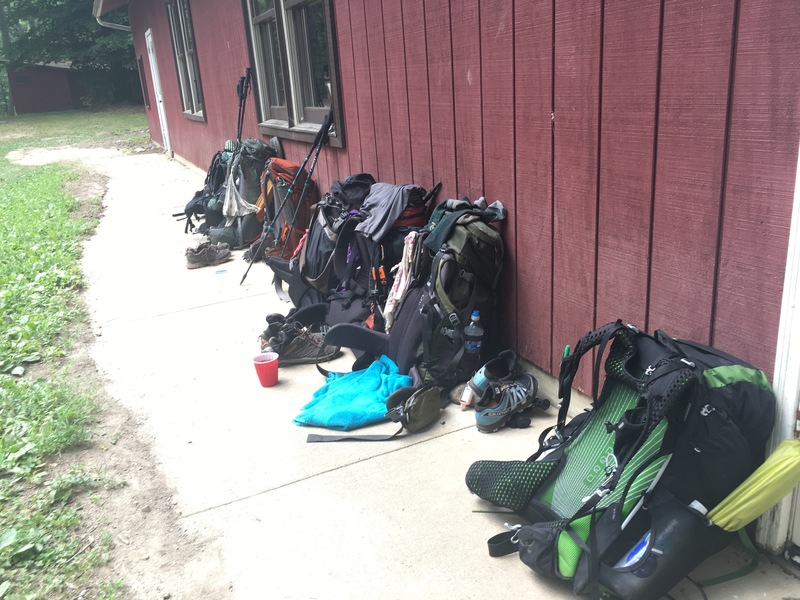 •	You are given a list of “food” items for a package and end up buying 50 more items than what’s on the list….worried your hiker is starving! 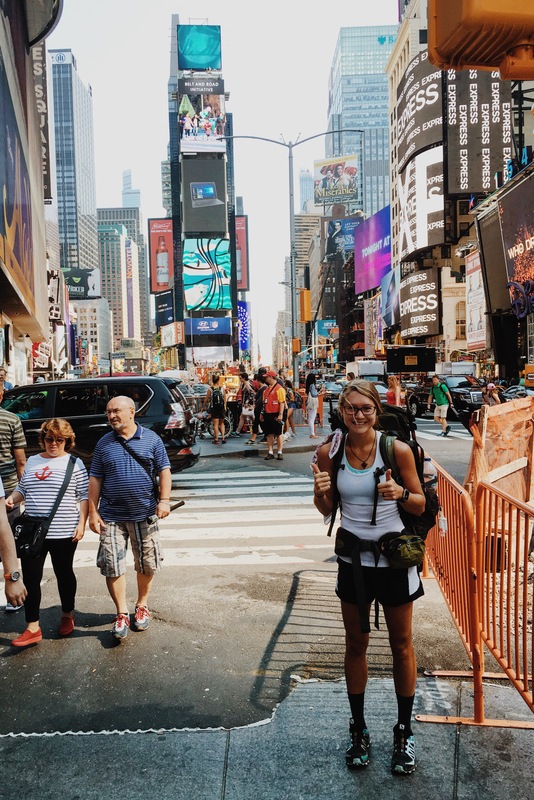 •	You set Facebook and Instagram up so that you are notified when your hiker post anything… because you do NOT want to miss a photo opportunity or video moment. It’s your only connection until you get that next text or call from your hiker. •	You keep your vehicle full of gas…..because you want to be prepared just in case you are called and needed immediately (no time to stop for gas). •	Your Christmas purchases include “hiker items” like an expensive sleeping bag, weather radio, batteries for the GPS and bear spray. •	You can’t go anywhere without someone stopping you and asking… “Hey, where is your daughter at on the trail”? And “wow, you must really be worried about her”? And let’s not forget… “So, when will they be done”? My least favorite comment from other moms…. “You must be really worried; I don’t know how you sleep at night”! •	You pray daily that whoever picks up your hiker to give them a ride is a “good person”. Followed by checking the GPS to ensure your hiker is on the trail. •	The Weather Channel App becomes your new best friend… hoping that most of the time they are wrong when severe storms are predicted. •	You know what trail lingo means, such as……“NOBO”, “Thru-Hiker”, “Trail Angel”, “Trail Magic”, “Trail Name”, “Yellow-Blazing” & “Zero Day” means. 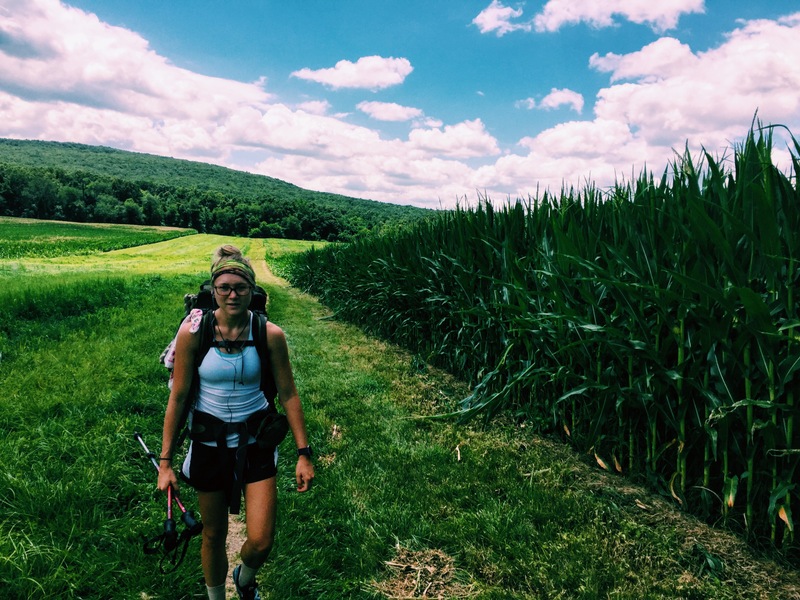 •	The term “hiker trash” is not offensive to you, because you are proud of your daughter (or son) for taking on such an amazing journey…all 2,189 miles! The #2 deal: All-You-Can Eat salad bar at every Pizza Hut. I can retire in 64 months. I long to turn into Hiker Trash again. I left on a through hike with my husband Smokin Bear who succumbed to cancer and guillain barre syndrome on the 10th. He longed to stay in the mountains. I did not want to be hiker trash because those that called themselves that were the ones drinking and doing drugs and messaging ahead to where the magic is ,even posting flyers to the next party.I had a bad experience with how mean spirited people can be here in the “real world”and he knew that the mountains would renew me. It did the nice people were out there offering water food and rides also moral support.We returned to the real world because he knew when he died I would need a job. Oh how I wish for another moment with him in the mountains. People in the real world are so back stabbing and mean they lie cheat and steal and I do not even watch the news . that is just people I have come in contact with. I have ten more years ahead of me working but oh how I think of those mountains every time I wake up. 10/10 and I’ll add that I could walk well as in “normally” with a pack but I had a very hard time moving without it – I’l have to will myself to walk without the pack. It was strange. 10 of 10 for me! Made my day!